The old saying "no good deed goes unpunished" is never more true than here at the legislature. 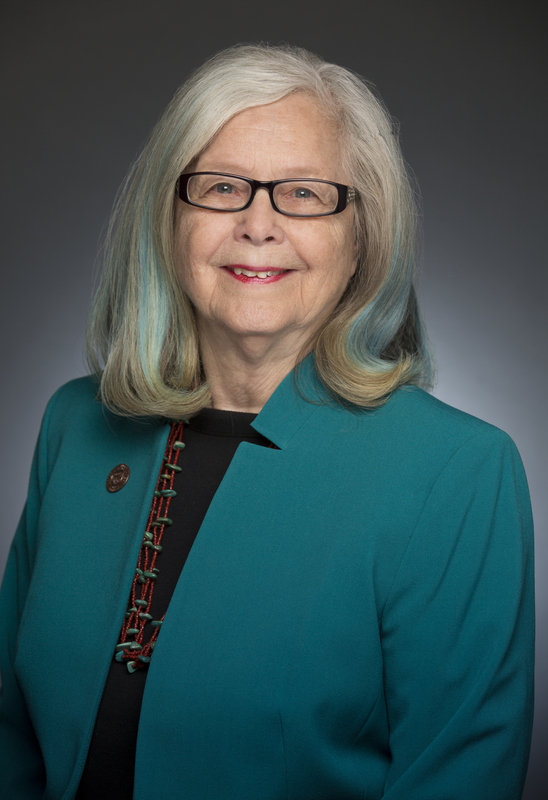 This was illustrated last week when Speaker of the House Rusty Bowers tried to blame Democrats for the death of Senate Bill 1394, Republican Senator Kate Brophy McGee's so-called "charter reform" bill. Speaker Bowers first told media that he killed the bill because it didn't go far enough "to increase accountability and transparency in charter schools." But after less than 24 hours of what we can only imagine was a phone ringing off the hook from legislators and lobbyists who are just fine with the status quo, he backpedaled with the ridiculous claim he killed it because, "the bill incorporated numerous changes from Democrats, who would rather see the charter school model fail than be improved." Arizona may technically have a part-time Legislature but this is a full-time job. When our senators are not up here at the Capitol on weekdays during session, they're back home out and about in their districts meeting with community groups and constituents on weekends. Often times they even go back and forth between their far-away districts and Phoenix on weeknights. 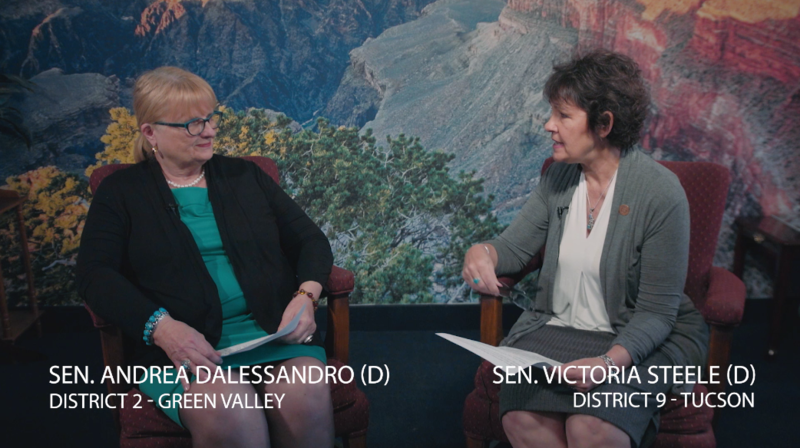 On this episode we hear from Senator Andrea Dalessandro on how she stays in touch with her constituents and the diverse communities in her district. Hosted by Senator Victoria Steele. Appropriates $5,000,000 from the state general fund in fiscal year 2019-2020 to the Arizona Commerce Authority to distribute to counties, cities and towns to conduct a communication and outreach effort before the 2020 United States decennial census for the purpose of increasing the response rate and accuracy of the census in this state. Appropriates $2.81 million to the City of Globe to repair or replace the Jesse Hayes Road bridge over Pinal Creek in FY 2020. Democrats also had bills to pay for bridge repairs but apparently only bridges in Republicans' districts get funding. Prohibits a person acting on behalf of a school district or charter school or a person who aids another person acting on behalf of a school district or charter school from using speech or curricula during school time to influence or change a student's political ideology or religious belief. This unnecessary because current statute already prohibits schools from using resources to influence religious beliefs or elections. It is clearly a petty response to last year's Red for Ed movement. Requires each school district in the state to be a unified school district by July 1, 2024. Billed as a cost-saving measure, this idea has been tried repeatedly in the past with no success. This will not change the number of students in Arizona schools and we must focus on adequately funding our public schools. 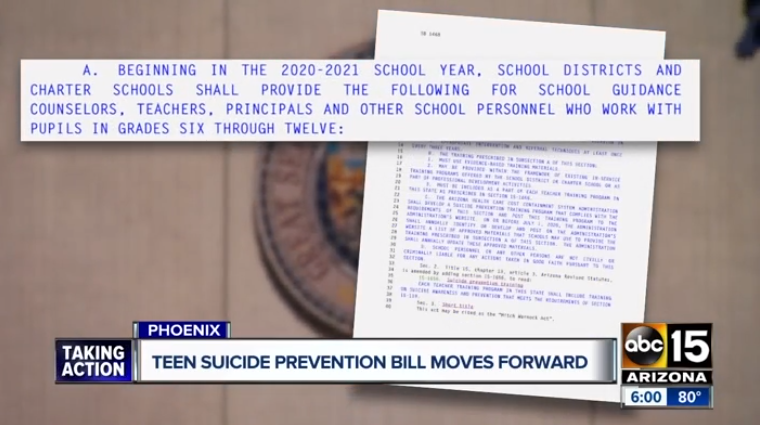 The bill, also known as the Mitch Warnock Act, is a bipartisan effort to implement mandatory suicide prevention training for all public and charter school staff in response to 88 teen suicides in 2016 and 2017, according to Teen Lifeline. Sen. Martin Quezada, D-Glendale, introduced a bill to repeal the law earlier this year, but Republican legislative leaders killed the bill. Democratic lawmakers have introduced similar proposals in prior years with the same result. Arizona State Senator Jamescita Peshlakai, who represents Legislative District 7 which includes the Navajo and Hopi Reservation, also sent a letter to the department’s director. In her letter, she said she was willing to work with the department to keep the center open.“I find it hard to justify such a move, even considering the cited reasons for the decision. Northern Arizona depends on this dispatch center for communications support, saving thousands of lives every year,” Peshlakai wrote in her letter. Sen. Sean Bowie, D-Phoenix, said it’s illegal in Arizona for an employer to discriminate against a worker based on age. “We have to address a much more deeper-rooted issue before beginning to add additional felony counts on individuals,” said Sen. Tony Navarrete, D-Phoenix. 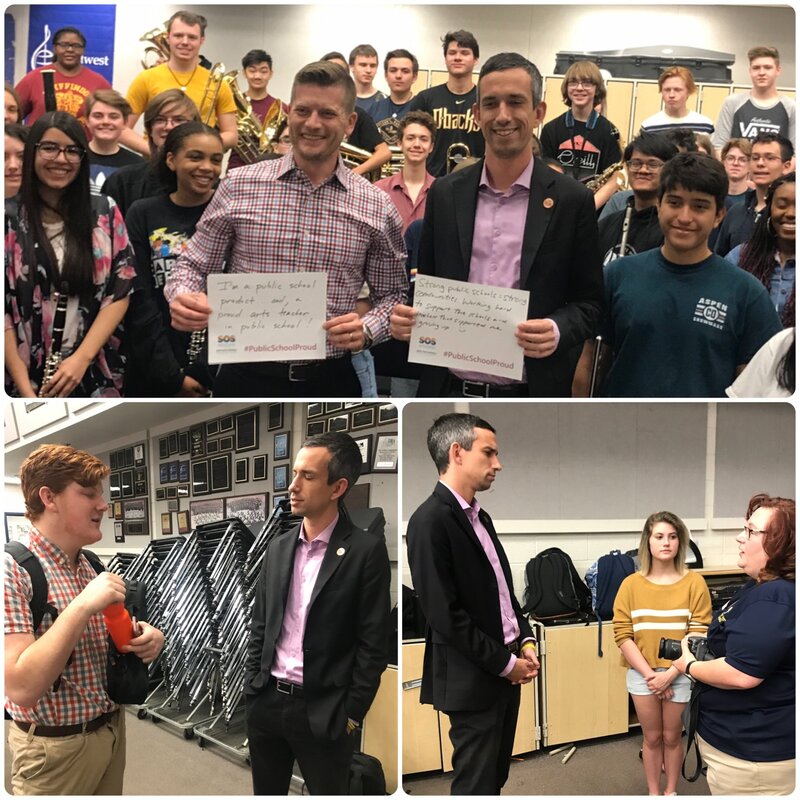 Senator Sean Bowie visited Phoenix's Desert Vista High School teachers and students as part of "Take Your Senator to School." 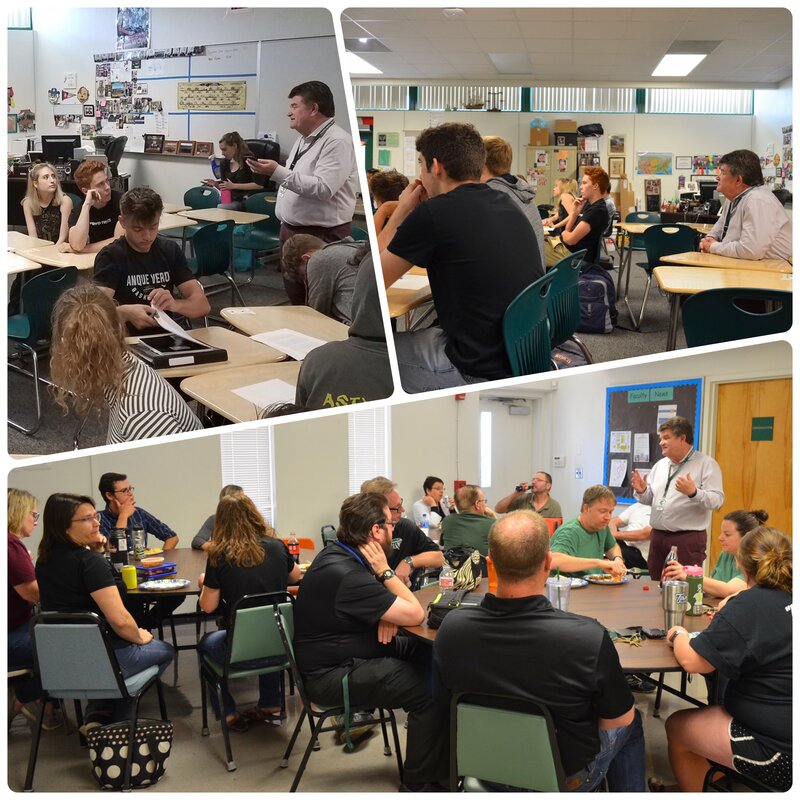 Senator David Bradley visited Tanque Verde High School in Tucson as part of “Take Your Senator to School”. He had lunch with teachers, class with students and a tour with school staff.